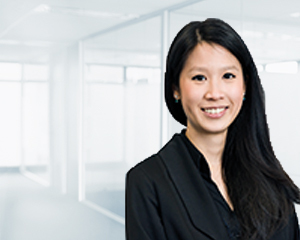 Based in Sydney, but supporting both Brisbane and Sydney clients, Jo-Lyne Lim specialises in self managed super fund accounting, administration and taxation and assisting clients with the establishment, administration and compliance of their SMSF. On a day-to-day basis, Jo-Lyne is responsible for managing a team that proactively and efficiently handles the ongoing accounting and administration requirements of her clients’ SMSFs throughout the year. Jo-Lyne is a direct point of contact for all her clients. She completes clients’ financial statements and tax returns and organises the independent audit at the end of every financial year. Jo-Lyne places high importance on accuracy and works to ensure all work is of the highest standard. According to Jo-Lyne, “At Dixon Advisory, our clients have a dedicated accountant assisting them with their SMSF and providing a proactive service to the highest standard”. “Running an SMSF gives our clients greater control over their retirement benefits, but for some, the paperwork and regulatory requirements can be overwhelming. This is where I step in to assist my clients with the ongoing accounting, compliance and administration of their SMSF to simplify the process. I am easily contactable by phone or email to support my clients with running their SMSF”, Jo-Lyne says. Jo-Lyne has Bachelor of Commerce and is a member of the Institute of Chartered Accountants.